BunkerLove 2013 – 3 stop i Nordjylland from BunkerLove on Vimeo. The 6 minutes video presents photos from this year’s 3 BunkerLove festivals in Hirtshals, Grønhøj and Furreby. They are set to music by Gregers Kirkegaard (‘Jeg drømte mig en drøm’ & ‘By this river’) and Natmandskomplottet (‘Drømme af sten’). The program is shown in the corresponding English flyer here. Thank you doesn’t cover the depth of our gratitude, and so we hope this report will assist the BunkerLove. BunkerLove created an incredible body of material this summer. We have a lot of beautifully edited videos and a whole lot more unedited material. We want to save the best bits of the visualizations and will work on making the material available to you. 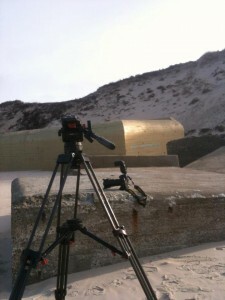 BunkerLove 2013 YouTube channel – which Sandro Masai is using to gather material for the Atlantic BunkerLove Wall which will be channeled via the Junaio app and other media. More video, edited and unedited, will follow. BunkerLove Vimeo. With the exception of our film artwork(s), you can download the videos and detach the soundtracks for creative use. Music: Drømme af sten is here for download in high res, and you may use it with link to Natmandskomplottet. Please credit and link to photographers etc. when you use any material. And please link to BunkerLove when applicable. It is a great privilege and joy to share a new short film for BunkerLove 2013 made by filmmaker Marcelo Felix. His extended film work inspired our artistic project. The film is titled Ein Stern. It will be followed by another film this autumn. See film notes. Marcelo Felix is a filmmaker, author, writer and translator working from Lisbon. His film Eden’s Ark (A Arca Do Éden) won awards for ‘Best film about art’ at Festival Temps d’Images (Portugal, 2011) and ‘Best Film’ at Festival Move Cine Arte (Brazil, 2012). Eden’s Ark is shown in Cinemateket in Copenhagen on August 28, at 16.30 as part of Copenhagen Art week. Watch Eden’s Ark trailer or read more about the film. Ein Stern is created for the BunkerLove 2013 festival series. Erik Peitersen’s Floating bunker on August 19 floated less than 5 kilometres North up the coast to Nr. Lyngby and located itself nicely on the ramp to the beach. We of course apologise for the accident to the beach authorities and are having the bunker removed and placed in a dry dock for safety reasons. Thank you, Floating bunker. What a journey, what a sight. The image links to more photos on Facebook. Michael Nørlev – www.bunkerfotos.dk – captured a great festival view of Erik Peitersen’s Floating Bunker with lovely people and Elin Strand Ruin & Spridd’s Heart of Darkness in the foreground. People’s BunkerLove, July 21st. 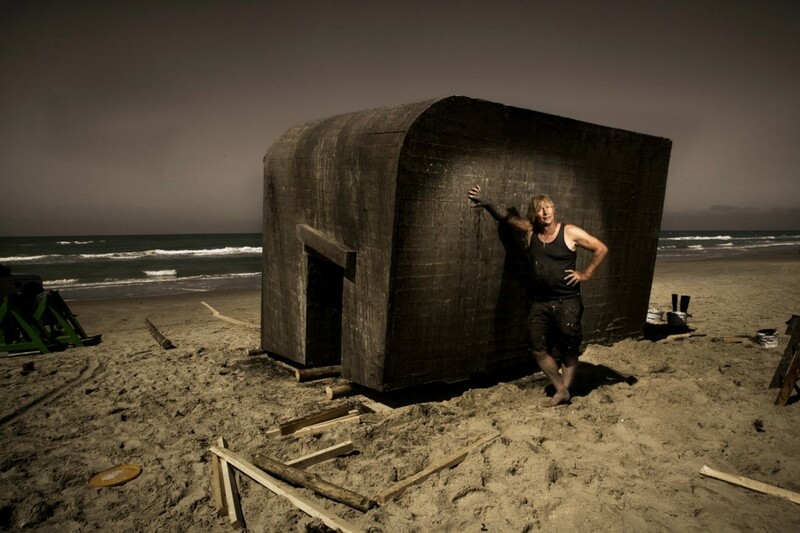 Part of Chris Brock Photography‘s work for BunkerLove 2013, showing Gabriel Tranter in front of A Cottage for Yemanja, a flower bunker by Inge Tranter. This is part of ALERT BunkerLove July 7 in Hirtshals and still open. Next festival is CHILLED BunkerLove July 14 in Grønhøj and PEOPLE’S BunkerLove July 21 in Furreby, Løkken. A Cottage for Yemanja – created by the coordinator for the festival Inge Tranter and already referred to as the flower bunker. 111 Buddhas by Meile Sposmanyte. For the festival she placed Buddhas on the beach and Tibetan prayers inside a bunker. The Buddhas are a beautiful vision as they decay on the beach. Liden Karen – a video installation by Gabriel & Inge Tranter. 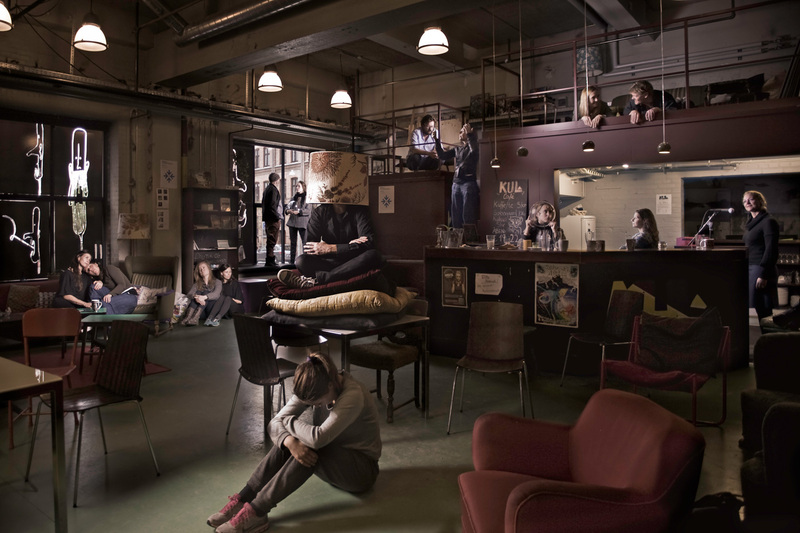 The Drama A Walk in the Dark by Lars Ditlev Johansen plays every night until Saturday at 21.30. You will be picked up by the parking lot to the left of the light house. The drama is based on Edgar Lee Masters Spoon River Anthology, and played in Danish by the creator Lars Ditlev Johansen with Marie Eriksen, Anita Holst Sørensen, Kaare Bjørn Vad, and Lars Olsen & Birthe Rosenfeldt from Åsen teater. App. 45 minutes. 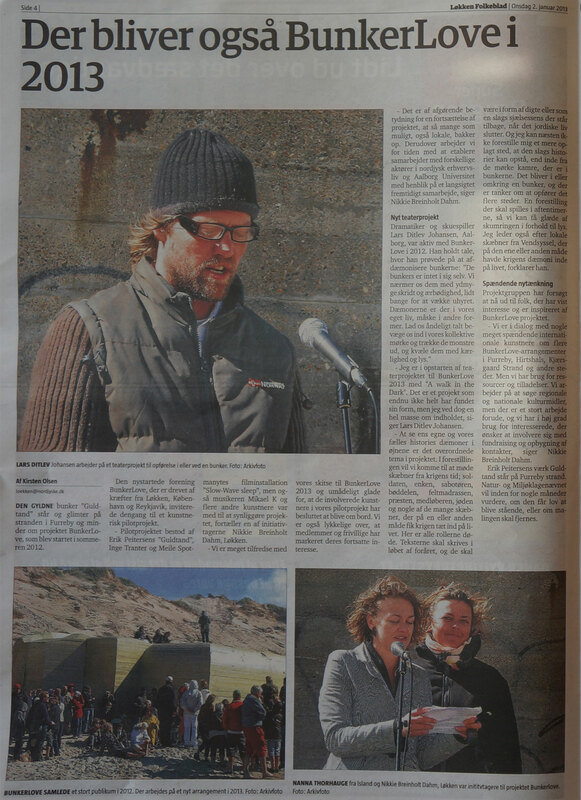 The festival itself was a truly beautiful and overwhelming BunkerLove experience and we are trying to collect press clippings and photos on our Facebook page. We will work to nicely document all the highlights once we’re through the festival series. Sandro Masai who so beautifully orchestrated the Flowers for Yemanja ceremony to cleanse the bunkers with Semente do Samba will document all works of bunker transformations as Points of Interest using junaio for the Association’s new, virtual, Atlantic wall. And we’ll have more photos by Chris Brock and others to share. The potency, the power of transforming bunkers into symbols of Love, Art and Transformation seemed apparant after our pilot project, but rolling through this festival series is… beyond words. Please share your photos, thoughts and feelings about the festival freely… in the comments or on our Facebook page. Tagging yourself on photos or sharing media clippings is much appreciated. See you in Hirtshals for CHILLED BunkerLove in Grønhøj this Sunday or for PEOPLE’S BunkerLove in Furreby on the 21st of July. Or somewhere around here. We hope you’ll help us share these invites and hope to see you for some genuine BunkerLove. 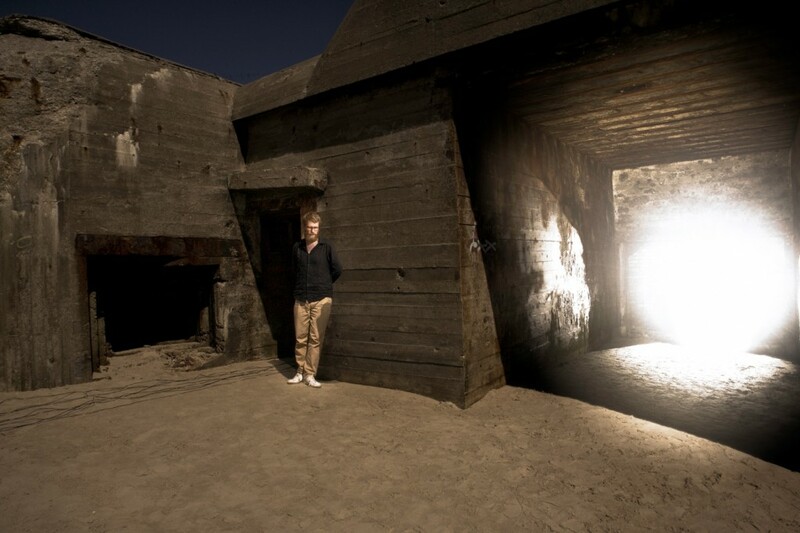 A second dispensation for this year’s BunkerLove festivals has been granted by the Danish Nature Agency. Our middle festival will take place in Grønhøj. We’ll be giving it up for bunkers that have already been occupied by friendly forces and just feel chilled about the whole sacred affair for the time being. We are in fruitful collaboration with Jammerbugt municipality about smooth operations. Grønhøj beach has no bunkers, but right next to the beach kiosk is a special one. It has been prepared and previously used for exhibitions by local artists. Andrew Zealey who was envisioned to transform the 3 bunkers at Kærsgård beach with bio-degradable paint will exhibit paintings there. A few bunker transformations further from the beach make surprises, we’ll arrange for walks. Chill at the long-stretched beach between Blokhus and Løkken, In a Silent Wave like no one’s watching. And to a wind powered barrel organ, and to a chilled version of A Walk in the Dark and… more. 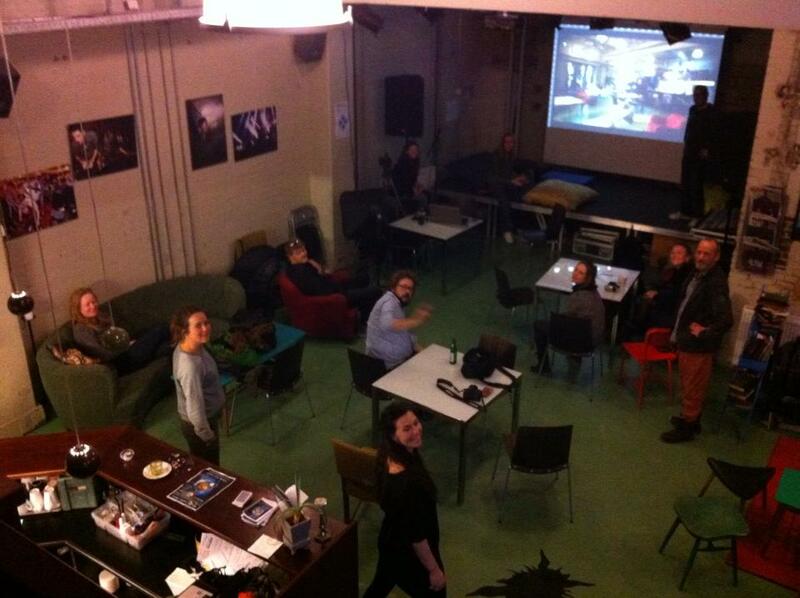 The Festival is warmed up In A Silent Wave the night before in Karolinelund in Aalborg with Platform 4. It’s exciting. On a parallel note, we are pursuing information about the bunker removals which the Danish state is scheduling. We hope the coastal directorate will collaborate to include some of the bunker demolitions into the Virtual Atlantic Wall of creative bunker transformations we start to build. Green light for our festivals in Hirtshals and Furreby at Løkken. The amazing participating artists can work with their chosen bunkers, and may be able to leave some transformations behind until September. YES! The preliminary layout for SACRED BunkerLove Festival, in between the more exuberant ones, ALERT BunkerLove in Hirtshals 7 July and PEOPLE’S BunkerLove in Furreby by Løkken 21 July. We were planning to hold our SACRED BunkerLove at Kærsgård, but we don’t want to battle the authorities on this one. We believe that this beach will become available to us sometime in the future. It has been tough to be informed with such short notice, particularly as there is a great deal of focus on us as a regional Kulturpunkt. We currently have two possibilities for collaboration about the venue for our middle festival. One is “Chilled” and another is an exploration of the bunker removals, scheduled to commence in late July in collaboration with the coastal directorate and four Danish municipalities. The bunkers have been paid for twice and we would like to somehow make the most of that fact by including them in our planned Virtual Wall building using Augmented Reality and the Junaio application. 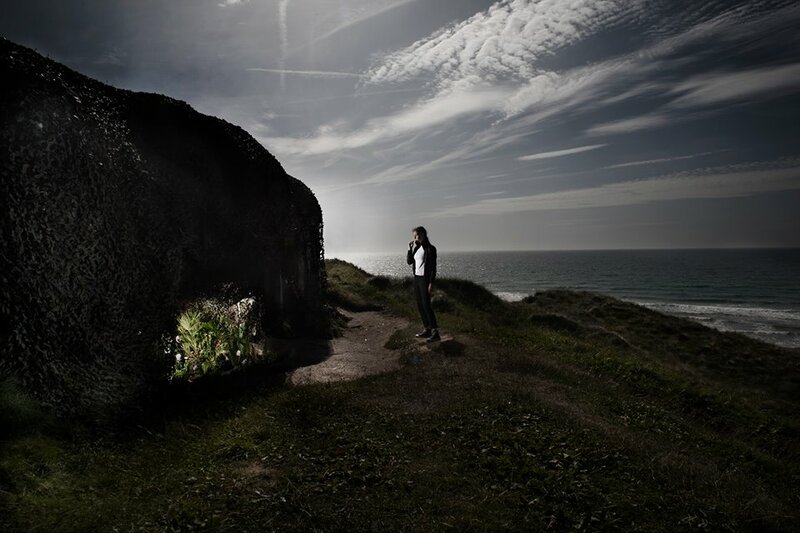 Sandro Masai will, in addition to playing a key artistic role at the festival in Hirtshals, start constructing this virtual wall with Junaio “bricks” (also called “Points of Interest”) during all 3 BunkerLove Festivals. We are also very curious to see the ‘method freedom’ being applied, which is the method that the bunker removal entrepreneurs have been granted (the video above shows a 10 years old bunker removal… it can be done with heavy machinery). It may be due to the fact that there is no method which makes much sense. We’ll just be sacred about it. No matter where we take the program on the 14th, we’ll be with Platform 4 on July 13 in Karolinelund, Aalborg, to start In A Silent Wave. And the whole Festival series kicks off on July 6 at a Pecha Kucha warm-up at Oceanarium, open and free for all. The bunker drama A Walk in the Dark will be performed at all festivals and further to be announced. We need a lot of people to help create magnificent bunker art this summer. We will be back with more details, but don’t hesitate to contact us if you have creative time to spare. THANK YOU to all artists and a wide range of participators, and thank you all. Feel free to share the beautiful banners made by Viola Heyn-Johnsen, the mother of our logo. 5 Danish municipalities have made budgets to remove select WWII-bunkers which due to their decay and tilting under sea represent danger to people swimming in the ocean. A bunker removal is budgeted with app. 20.000 DKK per bunker, and the State (the Coast directorate) pays the rest, up to 100.000 DKK per bunker. With approximately 100 bunkers pointed out, this makes a total of 10 million DKK, app 1,34 million EURO, earmarked to blow up bunkers (in Jyllands-posten on print today or week-old on web). In comparison, BunkerLove is paying 25.000 DKK (+ 25% VAT) to have Gold Tooth cleansed by Spray-Away at the moment. The bunkers are incredibly difficult to just blow up, they are build only to last, and even highly creative attempts in the past have failed. Bunker artist and maker of Gold Tooth Erik Peitersen is being interviewed about his view on the bunkers in Kulturen at TV2 News 19.30 this evening and wish to stress the absurdity to the scenario of spending millions to protect potential swimmers unaware of the bunkers’ sometimes invisible presence… He does not believe the budget is a realistic one, yet even if the project is completed, he believes the money could be spend in far better ways, using the bunkers as a cultural mediator. Allow ugliness… In our efforts to secure and make everything look pretty we make our biggest mistakes… Why not allow a bit of danger and ugliness, why so scared to put up a warning sign? Or just remove the metal parts. Creatively transform rather than believe we can destroy the bunkers. Raise awareness of what the bunkers represent – lack of rational thinking, war lead by fear-mongering (and now paying with tax money again). We need holistic solutions and we need to make conscious choices for how we deal with our cultural heirloom – to make a better future with less fear and greater equality. Acknowledge the clash between cultural behaviour and Nature which the bunkers represent, and make the clash a fertile one, by applying rational thinking and interdisciplinarity. It’s okay to spend some money on securing our lovely beaches, but could this be approached in a more meaningful manner, through cross-cultural collaboration in order to build a new wall? A wall to stand on to look further, rather than to divide or hide behind? Suggest collaboration between Teknik- og Miljøudvalget and BunkerLove and others with a complimentary mission, to turn necessity into a cultural and artistic virtue. 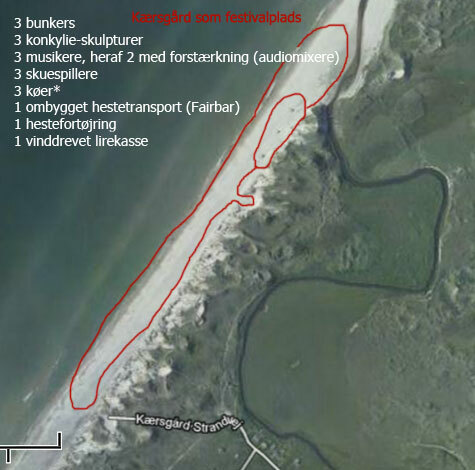 From 1988-98 the Danish Nature Agency made a complete report for which bunkers to preserve and which to let loose, and for how to execute such registration and communication work and learn from bunker preservation projects in Norway, Finland, UK and Holland. 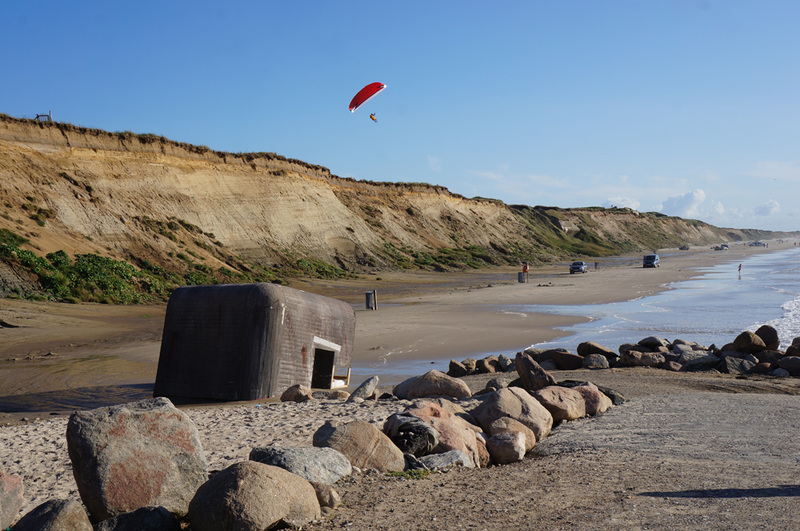 It seems nothing happened since then… Facts remain: The bunkers are not officially registered and there is no principled position on the bunkers in Denmark, and no principled European position on the Atlantic Wall bunkers. No one wants to take responsibility? No one wants to take ownership? What else could be done with some bunkers and 10 million DKK? Lars Olsen from Åsen Teater acting as the character ‘Ace’ Shaw in an interpretation of Spoon River Anthology by Edgar Lee Masters. This 1 minute soul essence continues our series of warm-up sequences for A Walk in the Dark – a bunker drama by Lars Ditlev Johansen to be performed at 3 different venues in North Denmark in July, for BunkerLove 2013. At our alternative May 1 celebration, Lars tested the bunker facilities for dramatic purposes and we found it to work very well. See Kaare Bjørn Vad as ‘Henry Layton’ in an interpretation of Spoon River Anthology for bunker landscapes by and warming up for Lars Ditlev Johansen for BunkerLove 2013. Kaare also co-painted Gold Tooth – here is Berlingske’s BunkerLove series. Read more about A Walk in the Dark and how to get involved. See Johanna Jakobsdottir as ‘Eugenia Todd’ in an interpretation of Spoon River Anthology for bunker landscapes by and warming up for Lars Ditlev Johansen for BunkerLove 2013. I had the pleasure of assisting Lars by filming Johanna in a very funky little WWII watchpoint bunker in Seltjarnarnes at the edge of Reykjavik, the world’s smallest metropole. I am very grateful for this ‘souvenir’ and bunker bond to Iceland, thank you for this grace, Johanna. And Lars of course. A warm-up for BunkerLove 2013 featuring the dramatist himself as ‘Benjamin Fraser’ in an interpretation of Spoon River Anthology for bunker landscapes by Lars Ditlev Johansen. Read more about A Walk in the Dark and how to get involved. A drama for BunkerLove 2013. Featuring Anita Sørensen as ‘Julia Miller’ in an interpretation of Spoon River Anthology for bunker landscapes by Lars Ditlev Johansen. Read more about A Walk in the Dark and how to get involved. It feels a bit windy with attention not only in regards to the Kulturpunkt competition we entered (feedback meeting with the judges on Tuesday), but also in respect to the cleaning of Erik Peitersens gilded bunker. Even though we made an appeal which was denied, we’d accepted to remove the paint right before we painted it, and will of course do so. We wish for this fact to stand clear. We took the risk involved of walking into new territory, not knowing exactly if anything could get out of hand. We are still happy we did and take full responsibility! Local media interviewed Ole B. Sørensen, who is a member of Regionsrådet (V) and one of 7 judges in Kulturpunkt as well as Nikkie right by Gold Tooth today, as her photo shows. The news will be on print and ppv-tv. It will feature all on a sunny quiet day and include a positive vox pop. We feel grateful. Thank you. 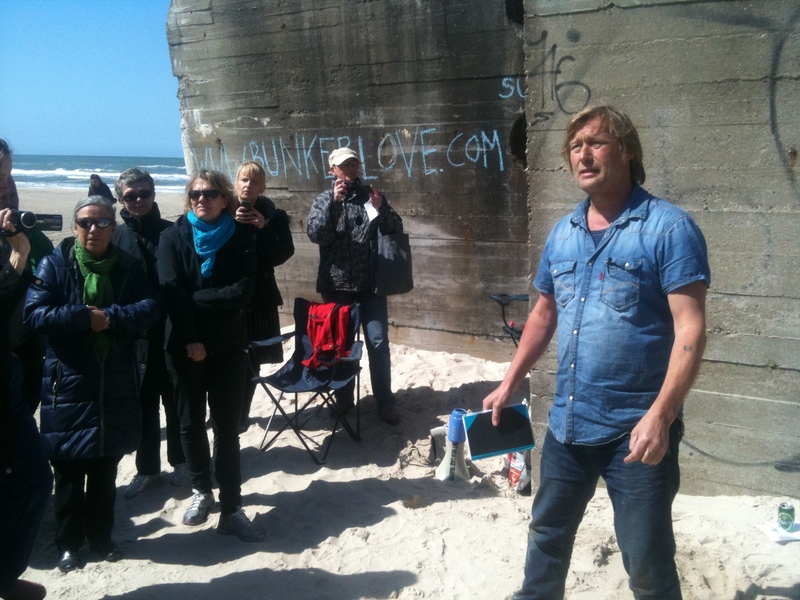 BunkerLove made it one step closer to a lot of money from the North Denmark Region. Along with 2 other projects, we have about a month to refine aspects based on feedback from the judges of the competition. The winner is announced March 23. Help us by liking the BunkerLove idea at the Nature Agency’s new idea storm website, for another potential source for funding, not related to Kulturpunkt. Thank you!! Uplifting to see BunkerLove’s summer plans on print in Løkken Folkeblad. 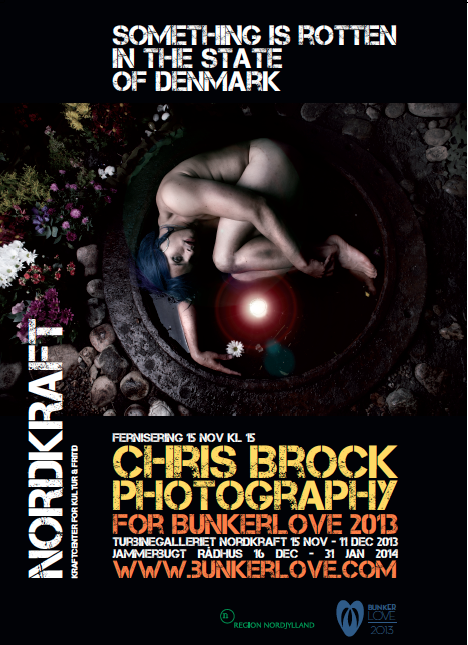 The main message, besides as the headline says: BunkerLove is going to happen in 2013, is that we’re looking for people with skills in theatre production – please read about and contact Lars Ditlev Johansen lars@bunkerlove.com if you’re interested!